Donna Rogers has been with Elders since October 2003 and is in the role of Senior Property Manager. Donna capably manages a portfolio of approximately 220 properties while also acting as a senior supervisor for the Property Management Department. Donna has been a resident of Wauchope for 14 years. Her clients are quick to praise her attention to detail, accuracy and consistency in maintaining important documents. She enjoys spending time with her family and friends and exploring new places with her two dogs. Donna has been the recipient of multiple industry awards on both State & National levels, including Runner Up Property Manager Of The Year. Her work standard rarely wavers, Donna is extremely diligent and works to a consistently high standard. Meet some of Donna’s happy clients. 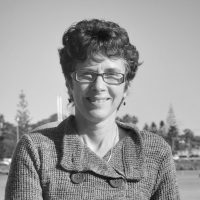 Donna Rogers has been managing my rental property in Port Macquarie for over 10 years. Donna's commitment to finding top quality tenants has made life so much easier as a landlord. She is at the top of her game and I wouldn't hesitate in recommending Donna to anyone looking for a professional and knowledgeable property manager. Would you like to speak to Donna?